Brand new Fisher & Paykel Flexifit 432 full face CPAP mask, size large. 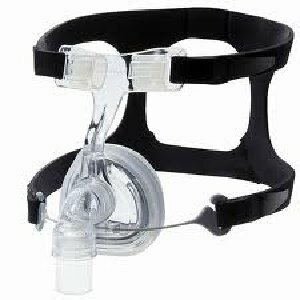 We just purchased all of the cpap inventory of a local homecare company going out of business and are passing the savings along--from seller. The FlexiFit™ 432 Premium Nasal Mask offers an over-the-nose mask solution that fits better, feels lighter and is easier to use. The Stretchgear™ Headgear provides even greater comfort and a maintenance-free bias diffuser ensures quieter operation. The FlexiFit™ 432 Nasal Mask comes as an Out-of-Box Solution fully assembled and ready for use.